From every corner of the world, the vaping market is proving itself by far as one of the leading industries for developing, releasing and improving its unique devices. But let’s not overlook the delicate details: manufacturers, distributors and wholesalers who buy vape related products overseas often require an agent to organise product shipping, and that’s where WTC Logistics step in. WTC Logistics have paved an easier path for business consumers, handling numerous aspects from shipping all the way to delivery, always ensuring customer satisfaction. Saving time and money is vital to all companies which is why WTC Logistics act as the mediator for the vaping industry. Vapouround Magazine caught up with Stuart Mathieson, director of WTC Logistics UK. VM: Who are WTC Logistics and what do you do? SM: WTC Logistics have been involved in the vaping industry for over five years now and we have been growing since 2012. To put it quite simply, WTC Logistics act as a mediator between you and your factory for the transportation of your orders, as the first point of call for shipping e-cigarette related products between the UK, USA, and China, made efficient by having 20 offices located all around the world. With TPD in place there has been an added focus on assisting more companies in the USA with their e-liquids hence working closely with e-liquid manufacturers who are aiming to sell their products globally. Our involvement is to complete the global supply chain by offering a cost effective reliable service in the USA as well as China and the UK. The whole point of doing this is to make their lives easier. We’ve grown with the industry, to become a reliable partner of choice which has been recognised also by the IBVTA who have recently appointed WTC Logistics UK as their approved logistics supplier which also allows us to offer its members additional and beneficial tailored services. VM: How did WTC Logistics become immersed in the vape world? SM: We have offices located across China and one of them had a shipment of e-cigarettes booked with us that needed to be arranged to the UK. Being a relatively new product at the time, we thought it best to do some research into the shipping and market requirements. We found that e-cigarettes were becoming a popular, fast-moving product on the market and we’re proud to have been a part of the vaping industry’s origins. The journey has allowed us to forge strong relationships with shippers, factories and customers alike which we are very pleased to be a part of. VM: How are WTC Logistics contributing to the vaping industry? SM: First and foremost is cost saving. We save companies up to 20-40% on their shipping fees and subsequently guarantee the best prices, independent from the suppliers. Most suppliers will need regular contact to make sure the product is available on schedule. WTC liaise directly with the factories to establish the lead times and departure schedules for our customer’s orders. At WTC Logistics, we take the hassle away from our clients, we like to take a more proactive approach to the process. Instead of our customers having to deal individually with ready dates, delivery, shipping, collection, WTC do it for you as one point of contact, which saves our customers valuable time and money. VM: What is the most enjoyable aspect of working in the vaping industry? SM: Having been in the vaping industry for over five years, I would definitely say the people. I’ve been in the freight forwarding sector for many years and I’ve met many different characters and personalities along the way. The vaping industry is one of the latest sectors out there and with that an exciting new energy. It’s very rare to delve into a new commodity but having found ourselves immersed in the vaping world, we are appreciating that the people involved in the industry are as excited to learn more about this growing industry, as we are. VM: How has WTC Logistics progressed since its launch? SM: We’ve seen the market progress and being part of that has brought expansion for WTC Logistics UK too. Initially, there were cartomizers and cig-a-like’s on the scene but once the second generation of the e-cigarette went into production, WTC was able to focus on the wider market and become more involved in shaping the shipping process whilst aiding clients who were looking to become a prominent voice within the vaping industry. VM: What’s next for WTC Logistics? SM: With TPD in effect, there’s been a slight shift focus in manufacturing so we’re concentrating on working closely with the American manufacturers. Even with the TPD regulations affecting everyone in the vaping world, WTC aim to continue to assist people through this change. Social media was a way to pass time, something the “cool kids” were doing. In a way to socialise, to find out what’s new with everyone and to make plans for the day. Well, its 2017 and social media has evolved. It’s now the biggest and most effective methods of communication. Whether its interacting with friends, colleagues, or clients, most of us cannot get through the day without checking what’s new online. It’s a great tool share information, in fact it’s the best tool if you want to find out about the latest news on vaping or the best juices to try. Here we look at how Vapouround Magazine uses social media to keep in touch with everyone from regular readers to the wider international vaping community. Once Vapouround magazine launched back in 2015, we took our vaping business to social media for the magic to happen! With a whopping 19,000 followers on Instagram, 6,000 followers on Twitter, and 5,000 friends on Facebook, the Vapouround team have outdone themselves yet again! But it doesn’t end there, oh no, our marketing department are regularly communicating with friends and followers across all of Vapouround’s social media channel to keep everyone updated on vape related news and trends. Katie Loomes, manages the Instagram account alongside other colleagues in the marketing department, has increased the follower count to an incredible 19, 000 in the last few months! “It’s really important to engage with our followers online,” explains Katie. From interacting with customers online, we, as a vaping community, can help each other and immediately address the needs of our fellow or, potential vapers. When you hit that snooze button on your alarm in the morning, what’s the first step you take? If you’re an avid vaper, you reach for your mod and inhale a delicious flavoured e-liquid to start your day. The second step? Grab your phone and scroll through your Facebook feed. Facebook has been the first platform to find out about the latest news or trends for many years. It’s also become the most efficient way to announce news, trends and stories on vaping which is why we at Vapouround keep regular updates on our Facebook page. From reading about the health benefits of vaping, finding about the latest mod on the market, to reading Vapouround’s latest edition, and attending our local bus tours, we have access to communicate with our vapers and friends to share fun and interesting stories, memes, and facts on vaping. Twitter is just one of the biggest social media platforms to communicate with people. Whether it’s for sociable or professional purposes, the fastest and convenient way to reach somebody is via social media, and Twitter is an excellent tool for communication. Here at Vapouround, we find that announcing our fantastic competitions, biggest tradeshow collaborations and posting vaping news on Twitter, invites our vapers interests instantly. Not only does it provide us with the chance to interact with members from the vaping community, but we can inform our readers with the latest updates on Vapouround and vaping itself. What’s so great about promoting Vapouround on social media is the relationship we form with the vaping community via Facebook, Twitter, and Instagram. We can share the latest vaping news and upcoming vape events with our fellow vapers. People not only want to buy what is a good product, but also what looks like a good product. And with multiple filters on Instagram, you can work wonders with the style of your vaping equipment. With so many followers online, we decided to switch things up and launch a YouTube channel. What’s great about YouTube is the opportunity to film and showcase our achievements to the world and that’s exactly what we have decided to do. From attending local vape shows, UK Vapouround bus tours, and competitions, Vapouround’s YouTube channel allows members of the vaping community from across the globe to gain a glimpse of Vapouround Magazine’s journey and success. For great opportunities that are unfortunately missed by members of the public, social media – especially YouTube, is a powerful method to keep people update. It not only informs, but entertains vapers and non-vapers with the art of visual photography and videos. Sharing and connecting on social media gets people involved and that’s what we at Vapouround intend to do. We want you to feel included and be a part of the vaping community. Social media is a large platform and similarly, vaping is a massive community that interacts mainly, online. With just a click of a button or a simple touch on your smartphone, you can reach millions of people all around the globe. It’s like living a different life online, one that charms different characters and summons different communities. Considering the vaping industry is continuously growing rapidly, so are our friends and followers. To stay social, follow us on YouTube, tweet us on Twitter, friend us on Facebook and follow us on Instagram! Even a serious heart attack could not stop Simon Thurlow from smoking…but vaping did. 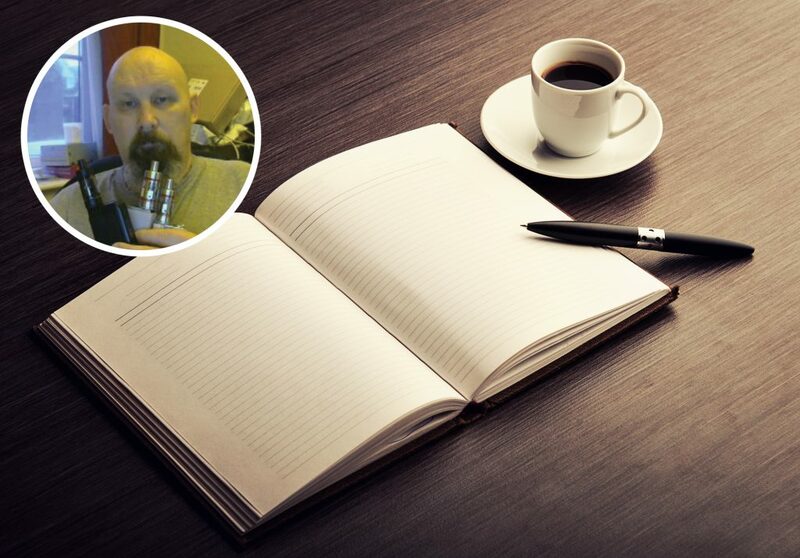 IT Security Architect Simon Thurlow, from Swansea, South Wales, explains how vaping changed his life after 30 years of smoking left him needing heart surgery. On June 6, 2011 (I always remember the date as it is also the D-Day anniversary), I bought and started using my first e-cigarette. I can’t remember what type of e-cigarette it was but most were pretty rudimentary in those days compared to what we have now. A few months earlier I had found myself in hospital due to a myocardial infarction (basically, two of the main arteries feeding into my heart had become blocked, starving my heart of blood and oxygen). In hospital I had an operation to clear the blockages and was told in no uncertain terms that my problems had been caused by my previous 30 years smoking habit, which I should quit. I managed to stay off the cigarettes for a couple of weeks following the operation, but gradually found myself having the odd cigarette here and there and soon found myself fully back in the habit. Around the same time, I started to read articles about this new thing called e-cigarettes on the internet. Curious about them, and because I wanted to be free of the smoking habit that had put me in hospital, I started researching them and decided to give them a go. I smoked my last five cigarettes on that June morning and have not had (or wanted) a tobacco cigarette since then. Now I am a vaper, not a smoker and my life is far better for it. I still have some issues, but not caused by vaping. I have regular check-ups at both my local GP surgery and at the cardiac centre in the local hospital. My current health issue is a leaking valve near to my heart and I do have to undergo an operation to either replace or repair it. Both my GP and the cardiac consultant are aware that I vape and both are fully supportive as they recognise the considerably reduced risk of vaping when compared to smoking. During my last check-up, I was wired up and on a treadmill. The nurse in charge of the test said my lung capacity showed that I was clearly a non-smoker. My blood pressure and cholesterol levels are also well within acceptable limits so I am seeing, and feeling, clear benefits to my health. Quite apart from the obvious health benefits, I actually rather enjoy the whole vaping experience far more than I ever enjoyed cigarettes. It is the sheer variety of flavours that, I feel, has helped to make vaping such a successful phenomenon. The other thing I enjoy about vaping is the community. Because of the actions of certain members of the public health and political communities, there is very much a sense of ‘us and them’ and it has engendered a camaraderie among vapers that is not seen in many other communities. Whenever I get together with a group of vapers, whether at the pub or a vape event, you witness that great sense of community and friendship as we all have a common ground and sense of enjoyment. However, the future of the vaping industry is an interesting query and, in my opinion, very much depends on what happens post-Brexit here in the UK. If left to evolve naturally, vaping can go a long way in the next five years. You only have to look at the innovations and great strides forward that have already been achieved over the last five years to see that. Unfortunately, the attitude of the governments (and Public Health) of a great many countries is going to greatly restrict vaping. All is not lost yet. Far from it. There is much, much more to come in the story of vaping. As a passionate vaper in Swansea, other avid vapers may be aware of how close Welsh Labour got to banning e-cigarettes from enclosed public spaces earlier this year. But it was defeated due to heavy intervention and fighting back by the more vocal of us vapers in Wales. In conjunction with the (now defunct) Save e-cigs campaign, a group of us spent two years getting ourselves in front of as many Welsh politicians as possible. We spent countless hours travelling around the country to meet with those politicians, armed with all the science to back up our assertions that vaping should be left alone, that it was not something to be feared, but embraced. And it paid off – big time. The reason that the e-cigarette supporting politicians in the Welsh Assembly were so well informed was due to all the science and research that we had been feeding to them. It was extremely uplifting to see our political supporters standing up in the Assembly and fighting against the proposed ban using the science, facts and figures that we had provided to them. Yes, it was a close run thing and we did get an element of luck to win that battle. But win it, we did. I like to think that the gusto and stubbornness we showed, the backs-to-the-wall no surrender attitude we displayed, was a major factor why Welsh Labour have shied away from attempting to reintroduce the vaping ban in the new Public Health Wales Bill that is about to start its way through the Assembly. Quitting smoking does not have be an onerous or difficult decision any more. The easiest and best way to quit smoking is by switching to e-cigarettes. They taste better, are more enjoyable, and can be customised to your taste. All you need to do is find the right nicotine strength and flavour for you. Everyone is different. Go to a vape store and they will assist you to find the right setup. The more attuned your setup to your own personal tastes, the greater your chances of switching completely to vaping. If you have tried vaping before and found it was not right for you, try again. The technology has changed and advanced a lot in recent years. Vaping is becoming more and more pleasurable with each new innovation and advance, and you will save yourself a lot of money in comparison to smoking. Flavor Monster to launch Drac Dragon Fruit e-juice at The Vaper Expo 2017 – The Big Weekend. 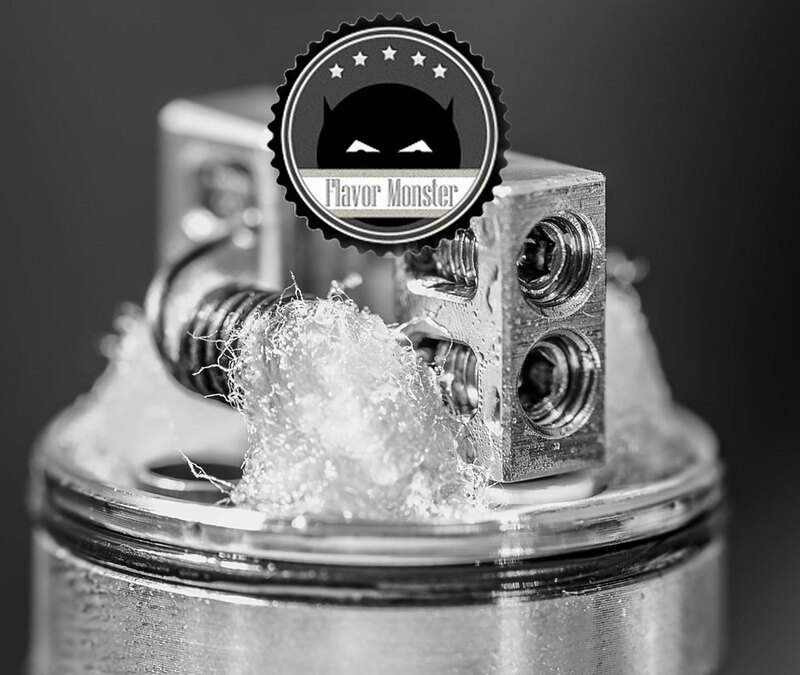 Vapouround decided to catch up with Flavor Monster who are an e-liquid manufacturer based in Colorado Springs in the USA. Flavor Monster pride themselves on manufacturing e-liquids at reasonable prices without breaking the bank. Laura Riggs is the CEO of Flavor Monster and she was incredibly excited to tell us all about her latest release for The Vaper Expo – The Big Weekend at Birmingham’s NEC. Introducing Drac Dragon Fruit e-juice, Laura and her colleagues have been investing their time in creating a new e-liquid specially designed to entice vapers with a refreshing e-liquid at the Vaper Expo show. “We did an initial test in July last year and we aimed to improve the flavour by tweaking certain things. Dragon Fruit can be a harsh flavour and we wanted it to have a perfect balance so that when it hits your pallet, it tastes amazing. “We want as many people to try our flavours no matter where you are in the world so we’ve decided to work with a distributor in the UK. Flavor Monster have also expanded their facility so they have more access to ship their e-liquids to ensure it reaches customer in a time efficient manner. 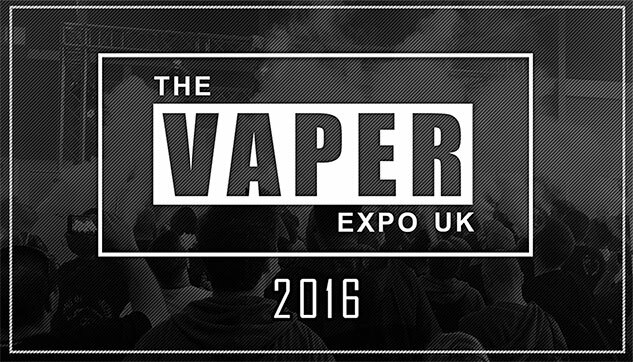 The Vaper Expo UK – The Return 2016 was my first ever vape event. Before joining Vapouround, I was new to the vaping industry but once I learned that a vaping event was taking place so close to me in UK, I was eager to attend. I was looking forward to interviewing potential clients and finding out more about the vaping industry. It was 9AM many people were queuing up at the entrance. From afar, many vapers looked eager to get inside and some looked very excited indeed. People from other vape stands at the show were eagerly waiting for the vaping community to enter as they were ready to hand out goody bags and offer free samples of their e-liquids. As the vaping community walked into the venue, their eyes wandered across in excitement as they noticed Vapouround’s colourful bus stand. Many stopped by and asked what the bus was all about. Matt Coupland from Vapouround, oversaw the juice deck on the double-decker bus and was showing vapers the variety of e-liquids on the bus – Naked Fish, Mello Buddha, Dinner Lady. When I asked Matt how vapers were reacting to the juice deck, he told me he felt hot but it was a lot fun. A lot of vapers appreciated Matt showing them how to build their own coils and it gave them a chance to be adventurous with their mods and coils. It brought light onto the creativity of hand-crafting coils. The top deck of the bus was lit up with disco lights and music was bouncing off the walls. Matt mentioned a lot of vapers from Sheffield visited the bus but one vaper in particular, Morgan Hatton, stood out for Matt. As two coil-lovers, they both shared their interests on coils which influenced other vapers to build their own coils. As I stepped off the bus, I heard music getting louder and louder. I was curious as to where the music was coming from and so, I followed this to the centre of the hall and found people gathering around a stage where the DJ and host were keeping them entertained. People were cheering as the DJ and host announced vape companies that are soon going to appear on stage to hand out their freebies. From hats and t-shirts to mods and e-liquids, vape companies were splurging out their freebies to the vapers that attended. Hands shot up as Strawberry Queen, Evil Cloud and Grey Haze went on stage. Vapers cheered for goodies and many of them were lucky to catch mods, e-liquids, t-shirts and so much more! I walked around a few exhibitors to look around and see what e-juices people were raving about and what flavours vapers were sampling. After visiting nearly 100 exhibitors, I started to make my way back to Vapouround’s bus but was soon captured by Riot Squad. After being pushed into a small interrogation room, I was questioned about my role at the event even though my black Vapouround t-shirt highlighted my status. Soon, I was demanded to wear a prison-like uniform and ushered into a second room where a second police officer took down my email. Finally, when I reached the third room, the third police officer took my mug shot and I was strongly advised not to meddle into the rebellious vaping business ever again. I absolutely loved this experience and I thought the arrest attack was a great sales technique as it grabbed my attention and made me feel involved. Being held captive by Riot Squad was the highlight of my experience at The Vaper Expo. As well as appreciating the unique exhibitors at the event, I noticed there was a variety of culture present at the show. Companies from Malaysia, India, USA and Japan were at the show. I didn’t realise how big the vaping industry was internationally. Coming from an ethnic background myself, I appreciated discussing the vaping industry to others. Double Drip also stood out to me as they had a lottery-like machine. Only, instead of throwing out money, they were distributing e-juices. I thought this was a great touch to Double Drip’s stand as other people, including myself, were standing in line anxiously to participate. Overall, I enjoyed the vibrant and friendly atmosphere. From sampling, almost every single e-juice at the show, I am extremely pleased to have attended The Vaper Expo UK – The Return 2016.